Viewing hours on the following Thursdays: August 4, 18, 25, and September 1, 2016 from 4-7pm each night. Artists and activists who’ve worked on or participated in projects featured in the exhibit Boom: The Art of Resistance are coming together to discuss best practices when doing collaborative anti-displacement work amidst an increasingly exploitative environment where Art is often used to pave the way for gentrification. The conversation aims to highlight the types of creative initiatives urgently needed by folks fighting for housing on a daily basis, while also honing practices that can prevent both the exploitation of communities facing eviction as well as the exploitation of cultural workers' labor. ACCESS NOTES: This exhibit space - an artist's live/work space - is wheelchair accessible. The onsite bathroom is gender-neutral - yet it is not wheelchair accessible. 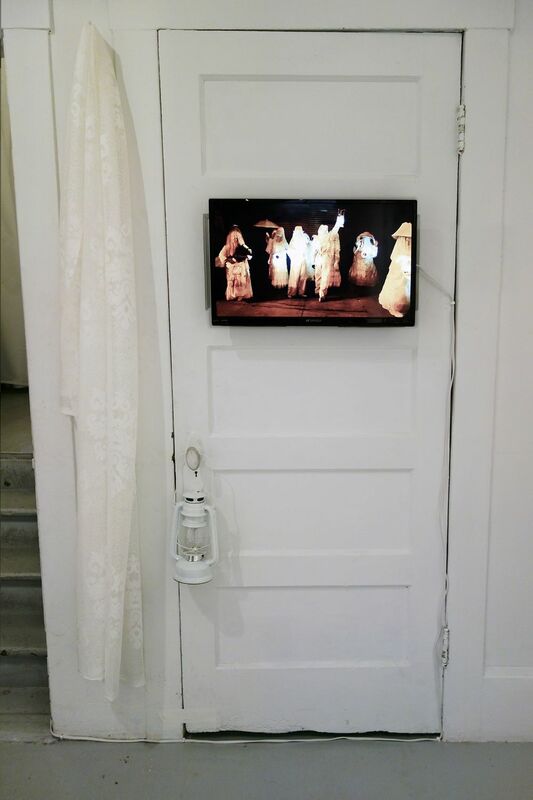 The exhibit as a whole includes text explanations and one video is captioned. 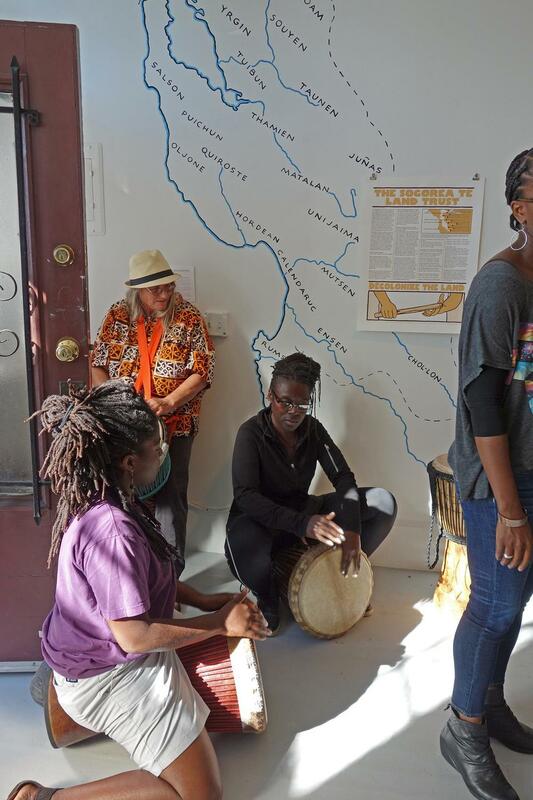 Organized by Leslie Dreyer in consultation with OaklandAwake and Bay Area Society of Art and Activism; supported by East Bay Fund for Artists and various community members. 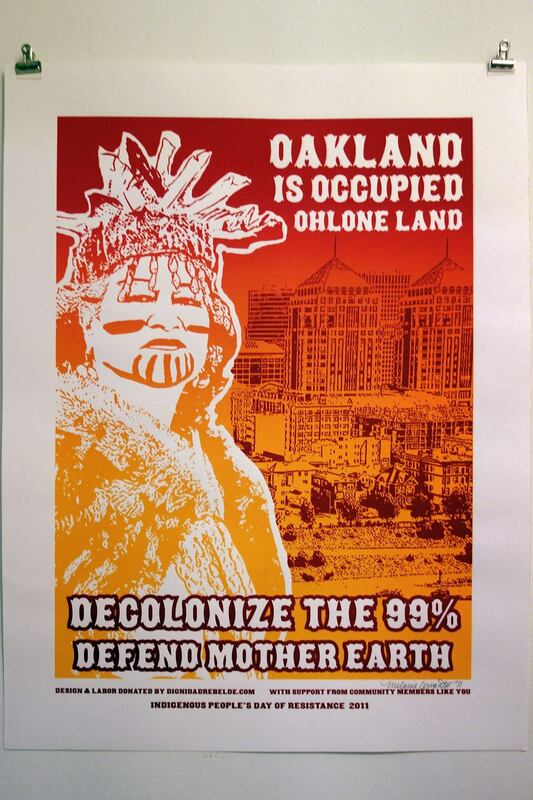 Communities in the Bay Area are being pulled apart on a daily basis, an ongoing pattern since the colonization of Ohlone land. Unfortunately, the “real estate snakkkes and devil-opers”, as Poor Mag deems them, have sharpened their house-flipping and wealth-siphoning skills in this second tech boom. With a nod to Boom: The Sound of Eviction, a collectively made film documenting the housing crisis and affiliated activism during the 90’s dot-com era, Dreyer is organizing Boom: The Art of Resistance as an exhibition and growing visual archive of current Bay Area anti-displacement tactics. The included works represent a broad array of grassroots and coalition-oriented efforts designed to hold onto ‘home’ while laying the groundwork for just and equitable futures. Though there are countless groups fighting displacement throughout the Bay, it can still be difficult for some individuals to find ways to plug in, and in some instances, to understand their responsibility to communities facing eviction. 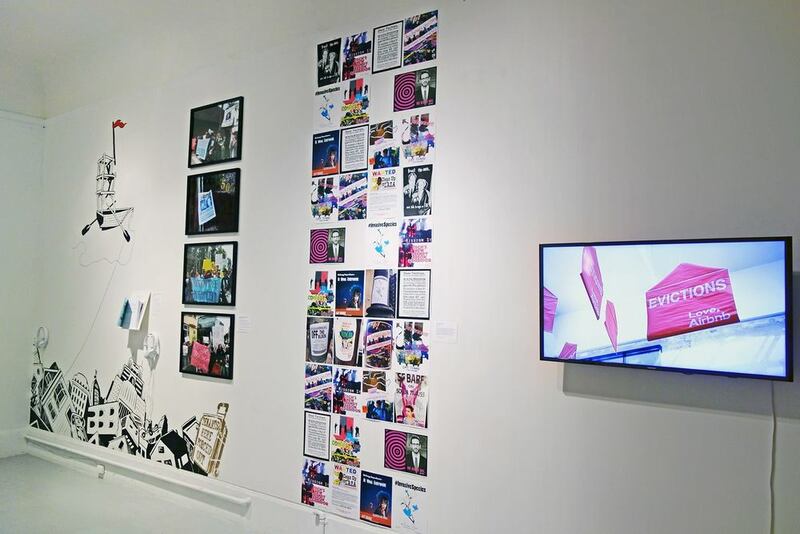 In mapping out initiatives, from long-haul campaigns to everyday gestures, Boom: The Art of Resistance presents critical reflections on race, class and accessibility politics within the struggles, while calling for all hands on deck. Public shaming, land reclamation, public intervention, guerilla art campaigns, media spectacles, eviction blockades and city hall shut downs are some of the many tactics used within our local land and housing rights ecosystem. 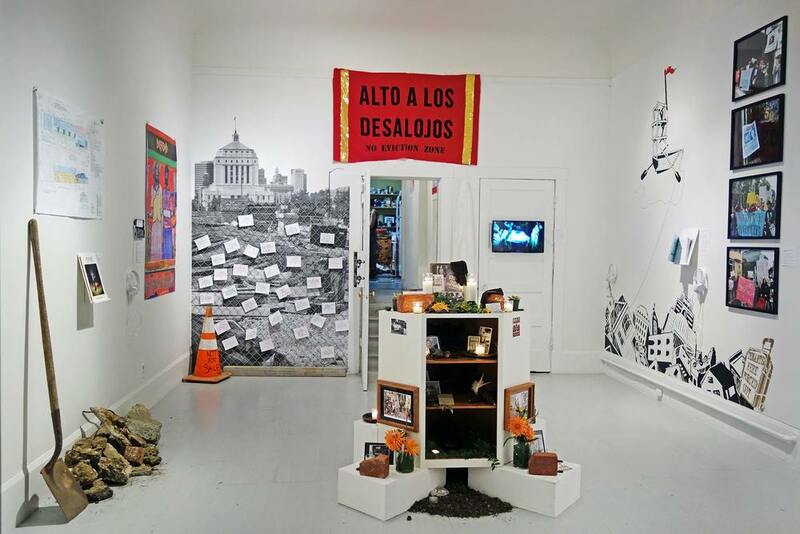 Some of the included works forefront art as the integral activist or organizing strategy, others maintain the community process as the art form, and still others incorporate design or theatrical elements but battle with Art used to usher in gentrification and gloss over displacement. As San Francisco and Oakland hemorrhage their black population at an alarming rate and the Bay becomes one of the most unaffordable areas in the world, the show calls on viewers to take action. Join folks from Poor Magazine in this neighborhood excursion exploring the erased and colonized cultures of the area, as they re-insert themselves, their dreams and histories in stolen land and landmarks. POOR Magazine is a poor people led/indigenous people led non-profit, grassroots, arts organization dedicated to providing revolutionary media access, arts, education and solutions from youth, adults and elders in poverty across Pachamama. Spoken word, shout outs, call-ins, songs, drumming and collective visioning with Casey Jones Bastiaans, Kin Folkz (Monica Anderson), Blackberri Singer, Bilal Mafundi Ali, 67 Sueños, among other inspiring anti-displacement organizers.